The slim free-float design adds minimal weight while enhancing accuracy by keeping stress off the barrel. 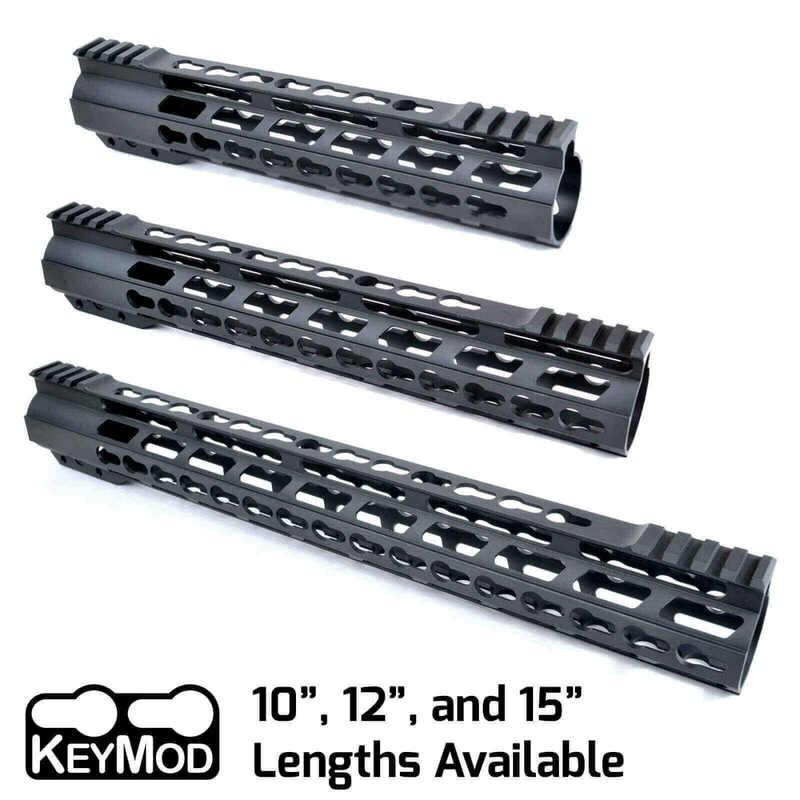 With its simple clamp-on design and 10”, 12” or 15” lengths, the PROMOD-K is the perfect upgrade for your existing rifle, or the centerpiece of your next AR-15 build. A torque wrench can be also be used to assure you stay in the AR-15 barrel nut torque range (30-80 ft lbs). Since this range is quite wide, a torque wrench may not be needed, but is recommended if you’re not experience in torquing AR-15 barrel nuts. I am beyond satisfied with my hamdguard. The circumference is just right for my hands and it feels like it could hold up to some good abuse. I will buy from AT3 on my coming hunting AR build. Love this handguard. Looks amazing and I'm so happy I decided to go with it. So light it adds no weight to my build. I am super happy with this product. Quality and very easy installation. Looks great and lifetime warranty, why wouldn't you buy it! First, shipping/delivery was very quick. Overall, this rail is lightweight, sturdy, & looks mean. It was easy to install. I haven’t attached any accessories to it yet. I am very pleased with my purchase.